Would you like to know one of the best parts of working in a bookshop? Keeping up on what’s new and wonderful in the world of books. Taking work home couldn’t possibly be better. The only problem is that age-old complaint, so many books, so little time. Do you have that problem, too? As far as I can see, there really isn’t a solution. At Yon Bonnie Books we try to help, though, with our “Staff Picks” shelf. It’s where we display some of the best new books we’ve read. 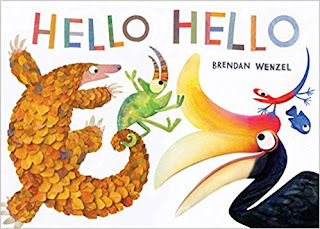 This month we were blown away by great new children’s books. Here's a favorite from each of us. Come take a look. 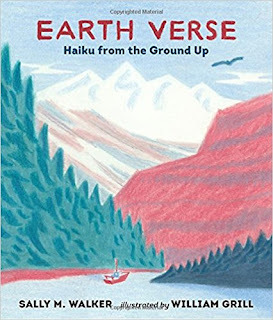 Christine loves Earth Verse for the poetry, the depth of earth science information that's also completely accessible, and the lovely, limited palette illustrations. Rab chose Hello Hello because it offers a simple answer to the problem of how we can make connections and get along in this world. This is Tallie's choice - a romp in space to the tune of "The Farmer in the Dell" that includes solid information about space travel and Mars in sidebars. 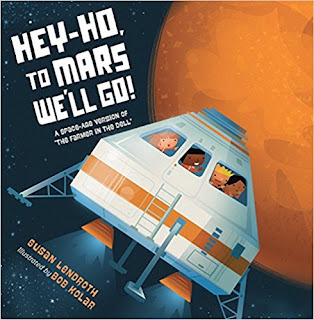 Each page is a delight (especially the zero-gravity pages). One Last Word is Summer's choice, and it's fabulous. 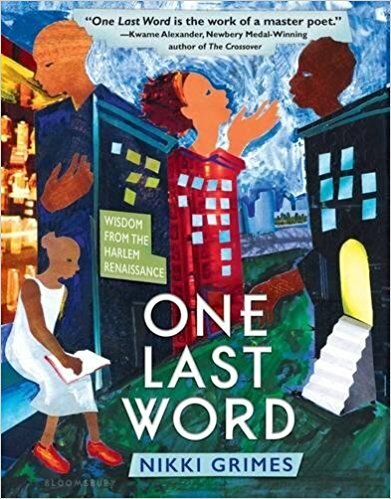 Nikki Grimes takes poems from the Harlem Renaissance and, using a poetic form called the golden shovel, writes her own powerful poems to compliment them. Okay, my choice is a little silly, but I do love cats, porridge, and bagpipes. How can I resist all three in one very funny book? There, what do you think? Have you found something you can’t go home without? I hope so. And I hope you’ll come back soon and often. 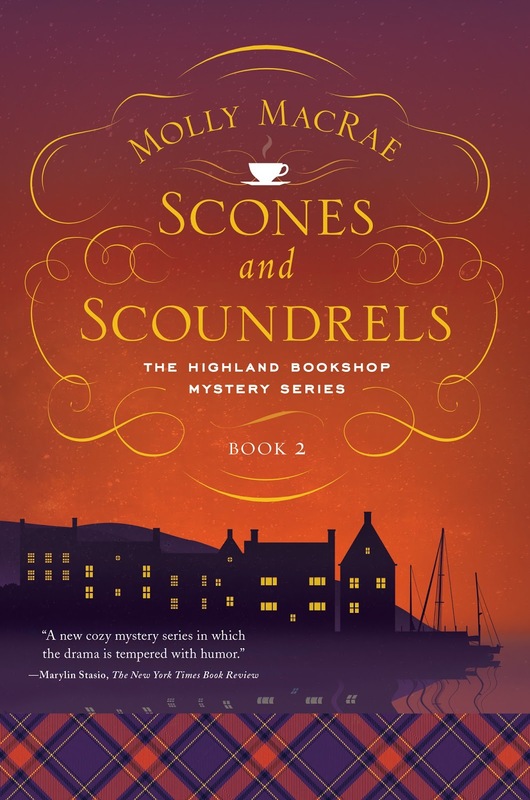 Molly MacRae writes the Highland Bookshop Mystery series and the award-winning, national bestselling Haunted Yarn Shop Mysteries. Visit Molly on Facebook and Pinterest, or connect with her on Twitter @mysteryMacRae. Fun! I’ll look for some of these at the library for the grandkids. Thanks, ladies! Our pleasure! We could have gone on and on. Thank You, Earth by April Pulley Sayre is absolutely lovely, too. Very simple text and beautiful photographs, and my heart melts every time I read it. 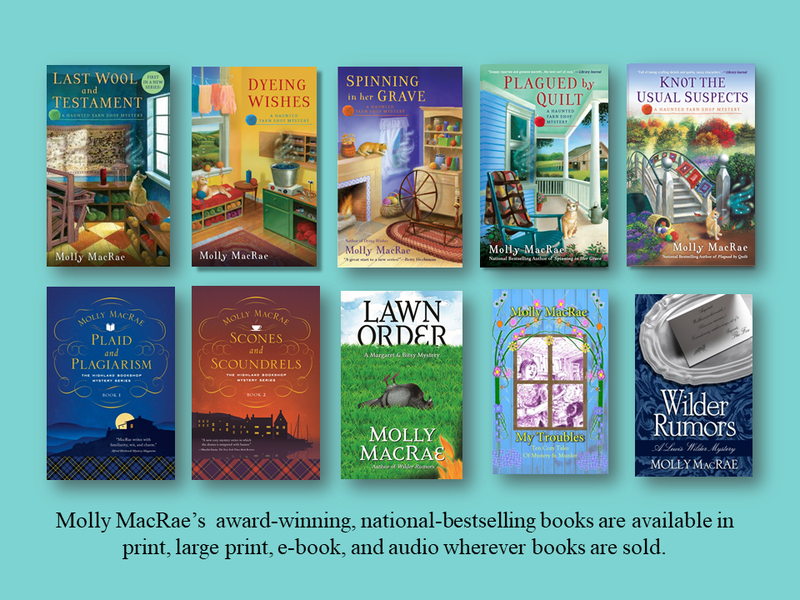 Eight of our ten grandkids are too old for these books. The two youngest have "inherited" all the children's books that were passed down from the older ones (oldest being 19 and currently in Israel). My TBR numbers in the HUNDREDS right now and I'd need a time bubble (bubble time would be three days in bubble for one in real world) to be able to make a dent in that pile. 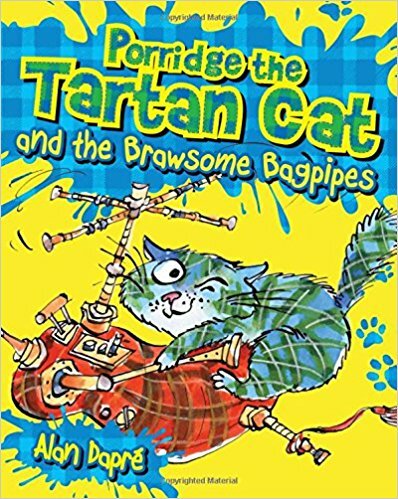 Porridge the Tartan Cat looks adorable. Doesn't it? It's a series, too. Lot's of fun, and fun to read aloud.